We do not curently have theatre tickets available for House of Burlesque Revue This could be because we have simply sold out or it could be that this show is no longer running. The information on this page remains purely for historical and informational purposes. Pop the champagne...Are you ready to join the stars of the House of Burlesque for the best party town? Celebrating 10 years at the top, the UK's No.1 showgirls are back, led by Queen Diva Tempest Rose with an evening of provocative and stunning performances. 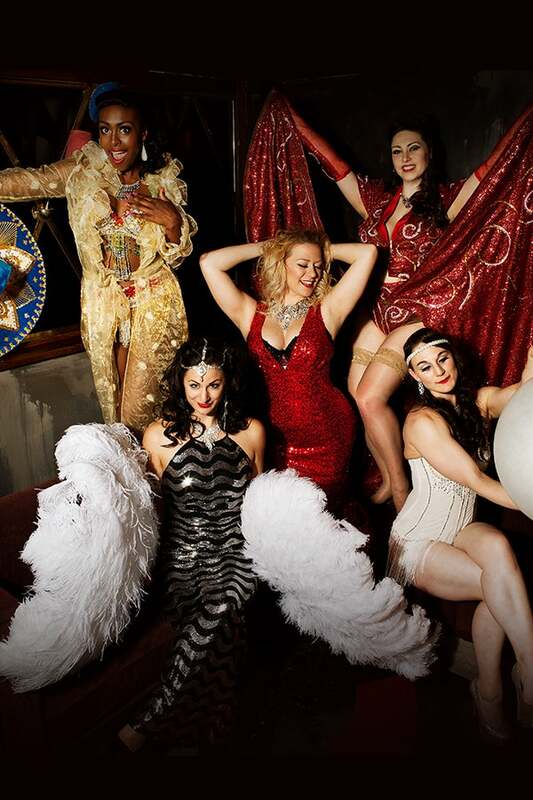 Come, worship in the church of the House of Burlesque with audience sing-alongs, epic soundtracks and all the sass, glamour and girl-power you need for an amazing night out. Straight off the back of their critically acclaimed, genre-definiting show House of Burlesque 2.0, HOB is proud to return for their 7th year on the Southbank with their trademark twist on traditional burlesque guaranteed to ruffle some feathers...the revolution will be crystallised. It's not a show, it's movement.